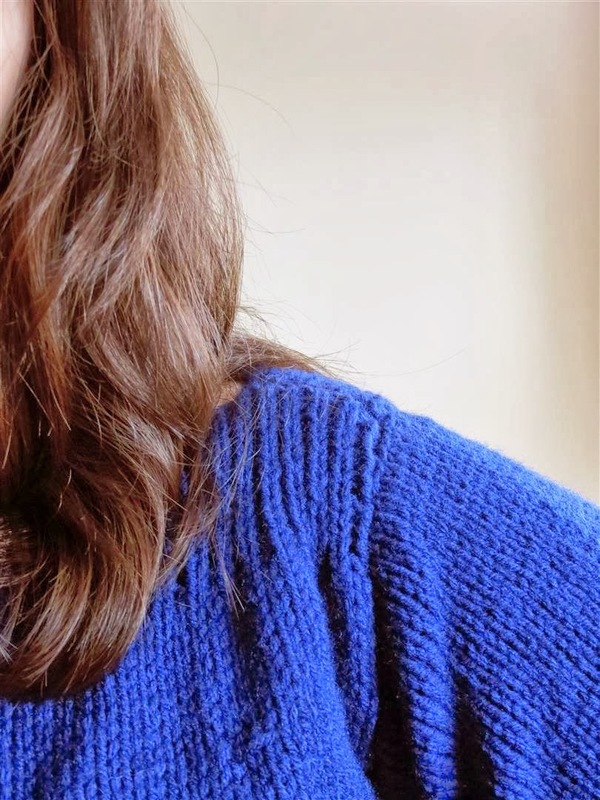 Knitting: Cropped Boatneck Sweater Finished! Ok, so I’m not suuuuper thrilled with the result on this one. It’s cute and was easy to knit, but she definitely be cropped. Yowza. But this is the first big thing I’ve knitted and haven’t screwed anything up, so that is exciting. Well, I did sew the pieces together wrong the first time, but I do that every time. Doesn’t count. There is no chance of wearing this without something longer underneath. I can do that, or unravel the bottom of the front and back and add a few inches of length. That sounds like a lot of work. Here’s a link to the Ravelry pattern (free!) and here’s a link to my version of it, with notes. Oh my, what a beautiful sweater! I am totally impressed by your knitting skills. Thank you! This was a (very) easy thing to knit, but I'm slowly working my way up to more difficult projects. that looks so good on you! cropped is a cool look right now, don't be afraid!!!! you are so gorgeous! Beautiful!If you did want to add a couple of inches to it, maybe try picking up stitches along the bottom and then adding a lacy kind of border. You'd just have to be clever about making it something that will fit with the ribbing (which is totally doable) and I'd do a practice run first. That way, if you don't like it, just undo it, and the original will be unsullied.However I wouldn't bother, as it looks gorgeous!